Owner representative for conceptual design phase in planning this destination resort for coastal Montenegro, in the south Ulcinj region. Situated on the site of the existing Hotel Mediteran Ulcinj. Design team included Kahler Slater Architects (USA), and Selim Resulbegovic of Ital Design (Montenegro). Hotel Mediteran is a destination resort situated along the Adriatic coast, in the scenic coastal town of Ulcinj (Montenegro). StoneCreek Partners has provided owner representation support to the facilities management and development teams. The property was purchased by Becovic Management Group, d.o.o., an affiliate of Chicago-based Becovic Management Group. Another Becovic affiliate organization, Becovic Holdings Corporation, manages Hotel Mediteran and provides owner representation for all renovation and new construction activity. The Becovic organizations were founded by Husein Becovic, a native Montenegrin who emigrated to the U.S. in the 1960’s. Now retired from the business but active in philanthropy, Husein Becovic purchased Hotel Mediteran out of fondness for his hometown – Ulcinj – and in interest in initiating the greater economic development of the Ulcinj South Coast region. 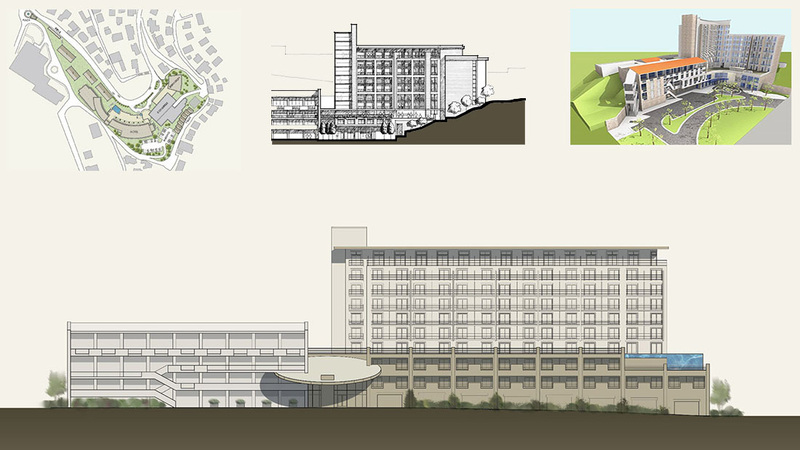 The project is involves the redevelopment of a portion of an existing resort hotel, the Hotel Mediteran Ulcinj.